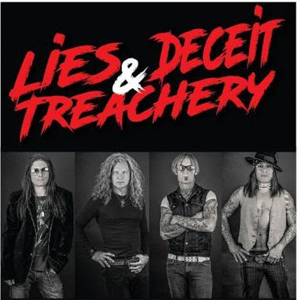 Guitarist Mick Sweda, bassist Lonnie Vencent and drummer Jimmy D’Anda, better known as three-fourths of the original lineup of BULLETBOYS, have rejoined forces in a new project with BEST OF SEVEN vocalist Shane Tassart called LIES, DECEIT & TREACHERY. The band has released their debut single entitled "Devil" and you can check it out below. The track will be available through online music retailers on September 7th. The band's debut album is due out later this year.